Hi people! I am Kathy and I am a passionate home décor blogger. Crafty things and home decoration is always a huge kick for me. It gives meaning to my life and I am so thankful to Carrie @ Curly Crafty Momfor giving me a chance to let my creativity out. I would love for you to visit my blog. Curtains complete a room’s décor, adding polish to a theme, enhancing and highlighting a color scheme and adding a professional finish to any room. 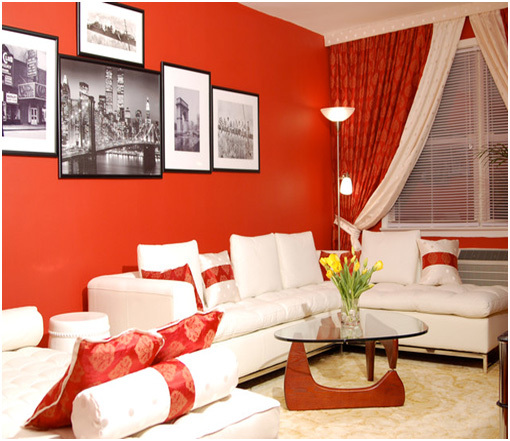 Always choose your curtains carefully as the wrong curtains can actually work against your décor ideas. 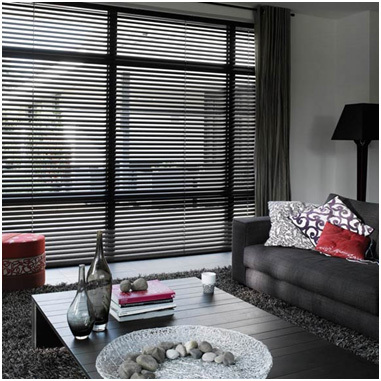 Blinds are a neat way to maximise the available space in a room. They often minimize the look of the window that they are covering which makes them perfect for over-large windows. Blinds can run horizontally or vertically, although many people prefer vertical blinds in their homes as they can create the illusion of a taller, more elegantly proportioned, room. The length of your curtains is very important in your décor. Children’s bedrooms and sun rooms – that is to say, more informal rooms – look fine with shorter curtains, falling some six inches below the window sill, whereas formal rooms, like dining rooms and studies benefit from floor length drapes. 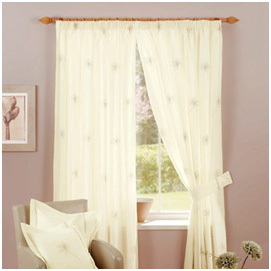 The thickness of the fabric used for your curtains is important too. 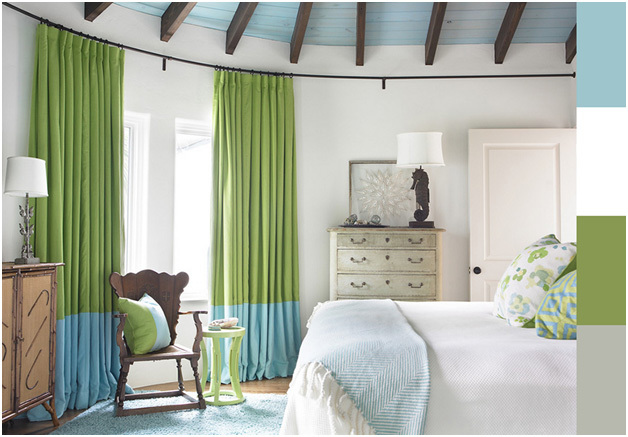 Stiffer, more rigid fabric is preferable for longer, formal curtains as they hang in rigid, almost sculptured folds, whereas softer, lightweight fabrics are ideal for delicate and feminine rooms, drifting on the breeze and creating soft gauzy shapes. 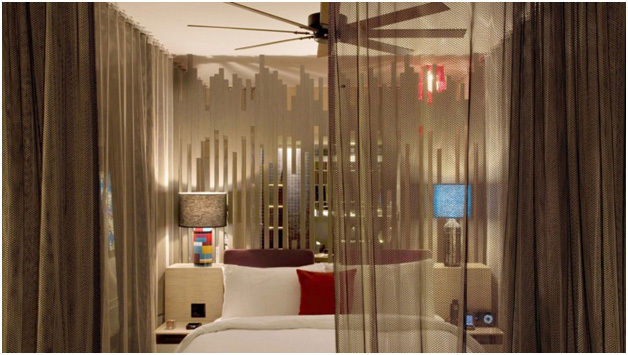 A transparent layer between your curtains and the windows gives your room a private and polished air, keeping you apart from the world outside, cocooning you from bad weather and prying eyes. Net curtains are more traditional, but voile and chiffon panels are becoming more popular, especially as modern dyeing techniques mean that you can have your voile or chiffon in any color or pattern that you like. For a variety in curtains, I always go for Yorkshire Linen Store. Some rooms cry out for a clearly defined theme, amongst them children’s bedroom and bathrooms. Pick quirky curtains that follow or harmonize closely with your theme, enhancing the strands of the story that the rest of the décor is telling. 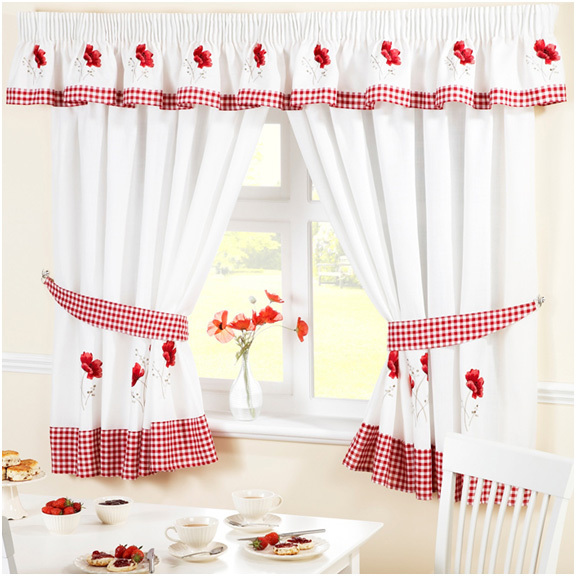 Your kitchen curtains are allowed to be cheerful, bright and tasteless, featuring foodstuffs and plants in exuberant, gaudy colors. Pick fabrics that are very hardy and treated to be dirt-resistant – otherwise you will find yourself washing them more often than you like! For high quality kitchen accessories, I always go for Habitat. To add interest and depth to your decor choose embellished curtains that feature swirling designs, flower patterns or even abstract embroidery. While the room may not get the full benefit of the decorations when the curtains are open, you will be pleasantly surprised by the improvement that you will see when the curtains are closed, shutting out the night. Textured curtains work in much the same way as embellished curtains, adding interest and charm to an otherwise dull feature in the room. Texture is easier to add as it is just a matter of choosing your preferred fabric for the curtains! Thanks to modern fabric making techniques, black-out curtains no longer have to be dull and dark-colored. Essentially heavily lined curtains blackout curtains work to keep your room warm and noise-free while also blocking unwanted early morning sunshine so you can sleep in. 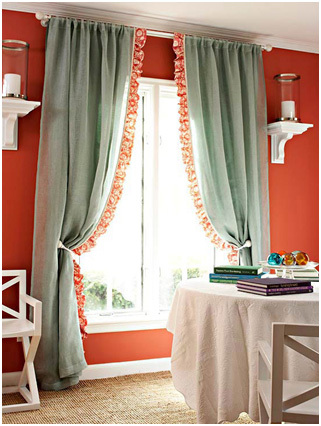 Use curtains that have blocks of color trim to add greater height to your room. It may seem counter intuitive to break up the length of your curtains, but it works astonishingly well! Examine your home and decide on the perfect curtains for each room and your planned décor. The right curtains do so much to further your décor ideas and you will know when you get them exactly right because your home will look dazzling!